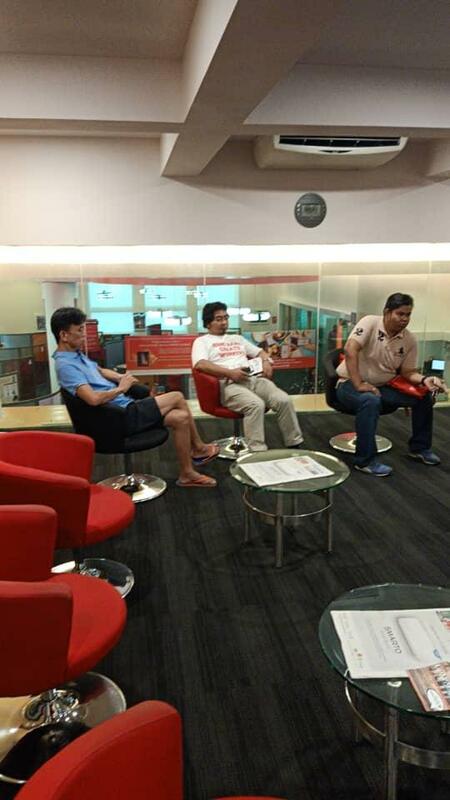 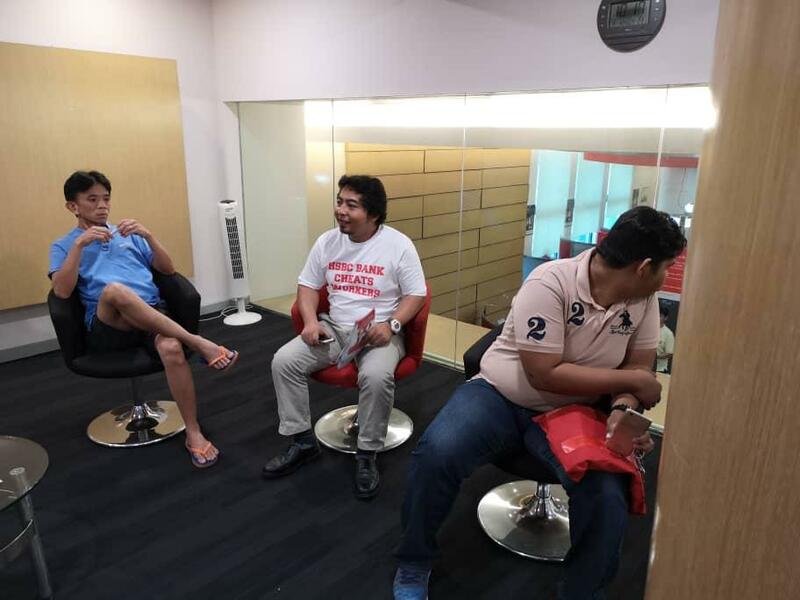 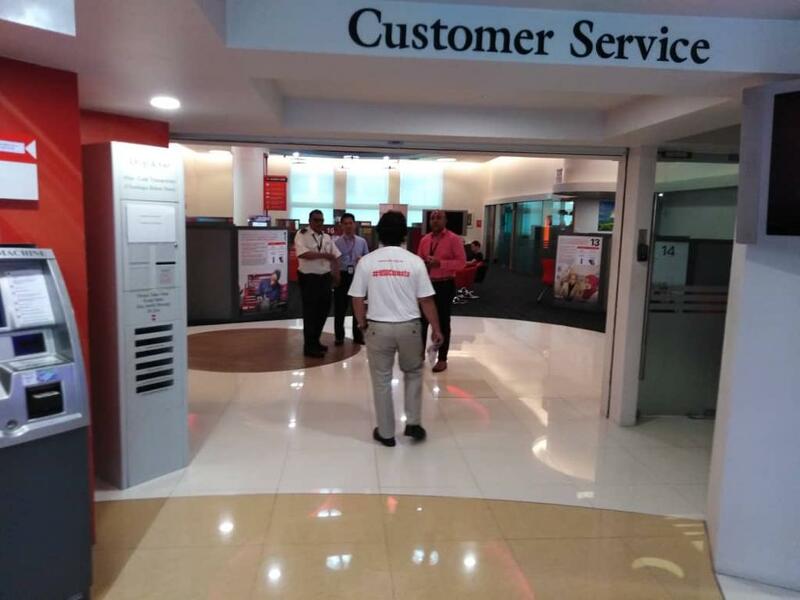 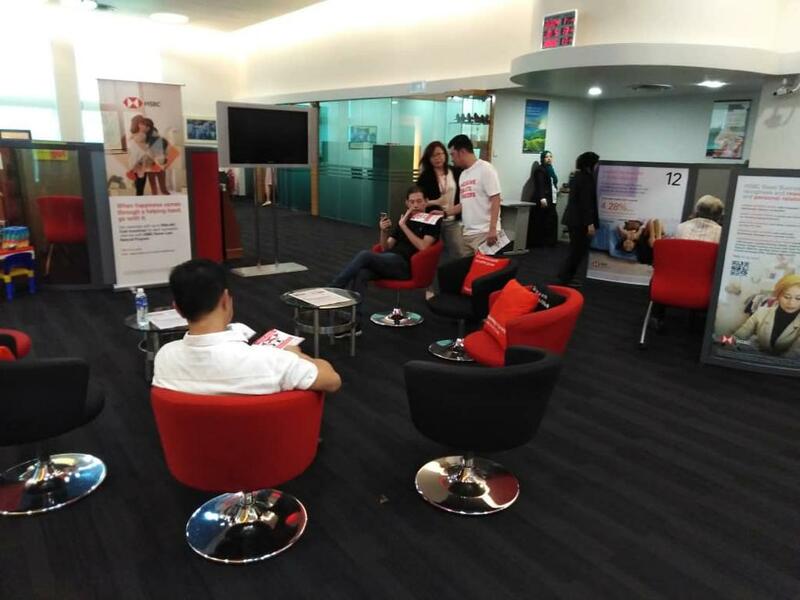 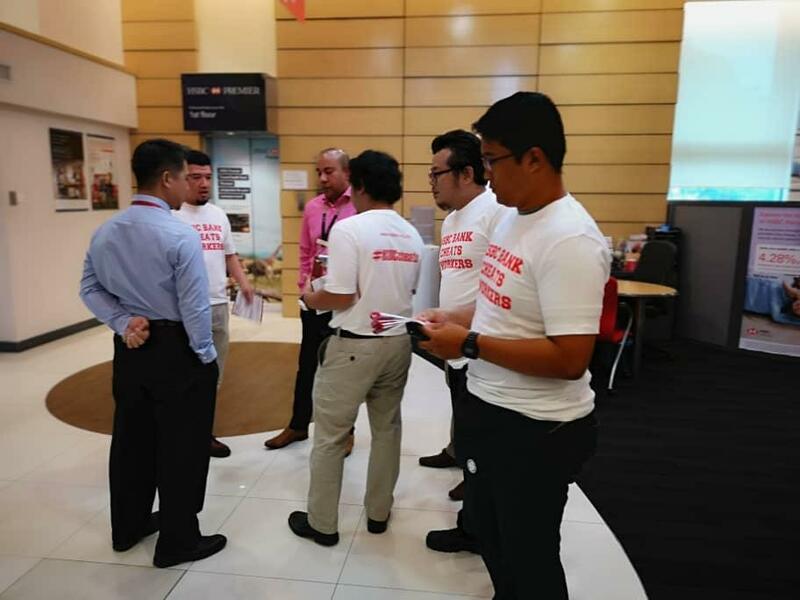 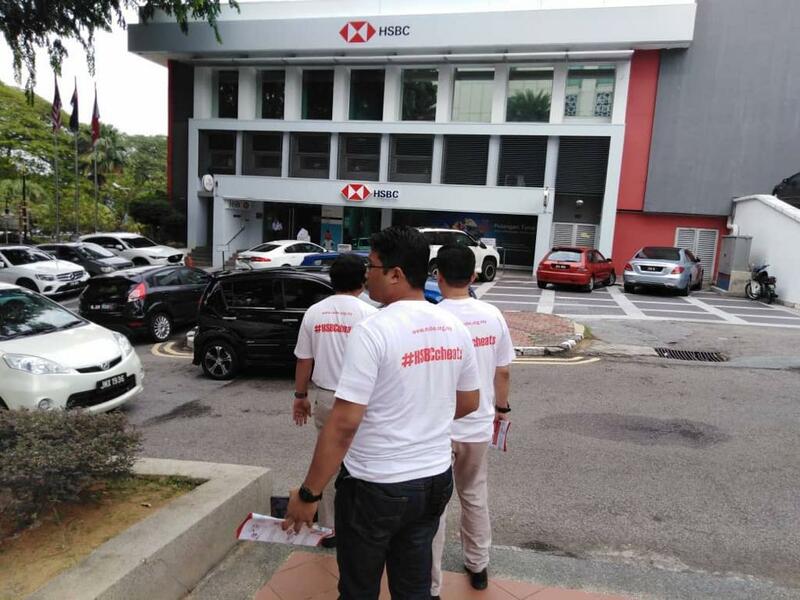 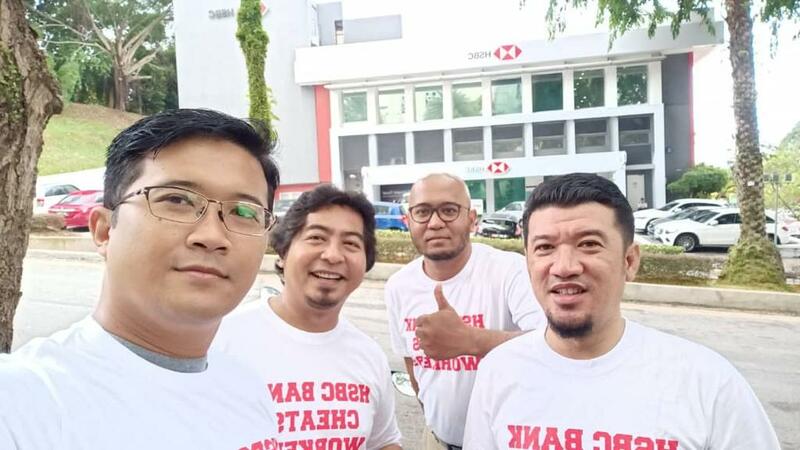 On 1st April 2019 NUBE found another Lapdog of Stuart Milne at HSBC Bukit Timbalan, Johor. 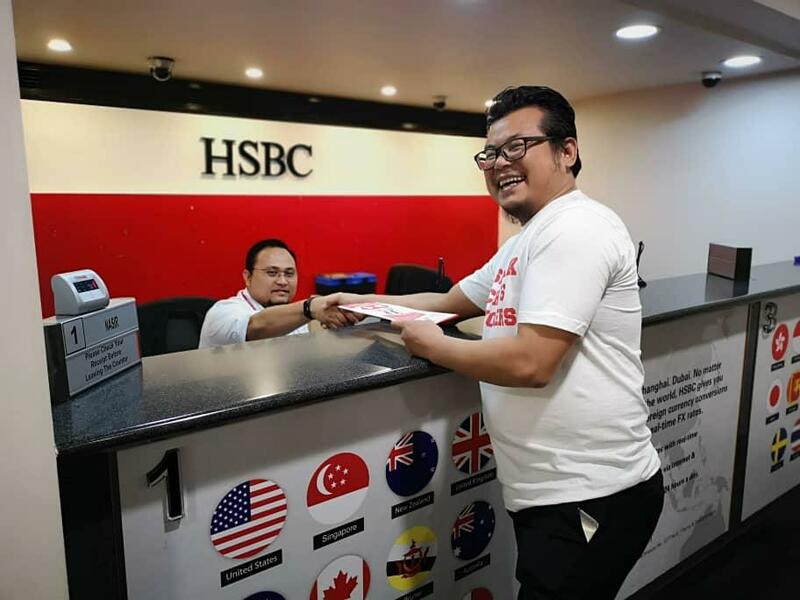 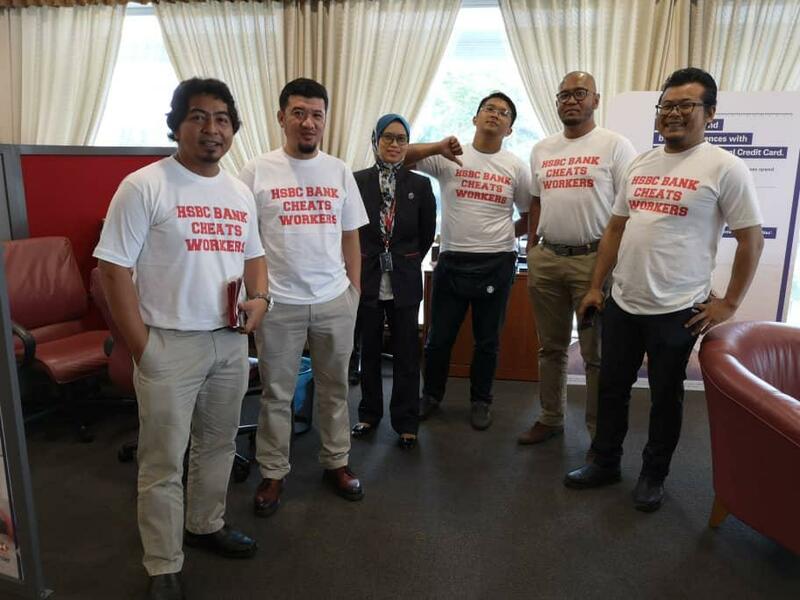 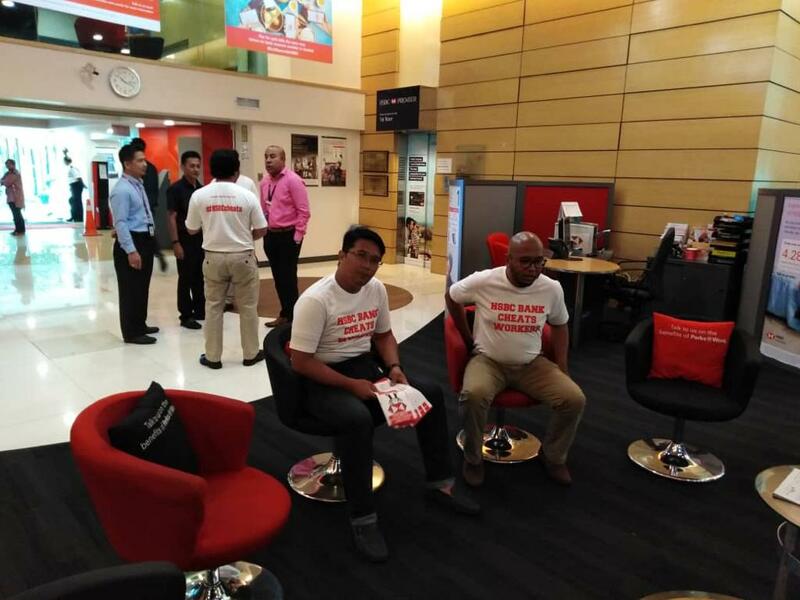 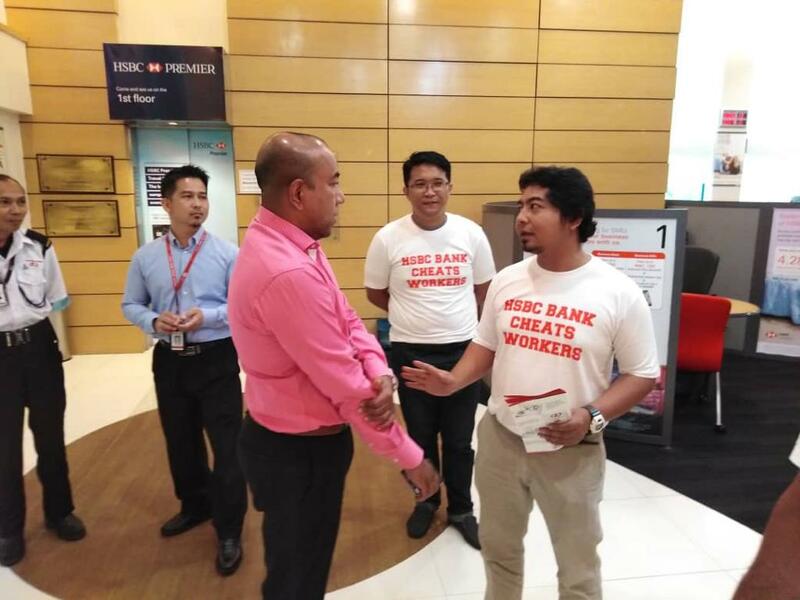 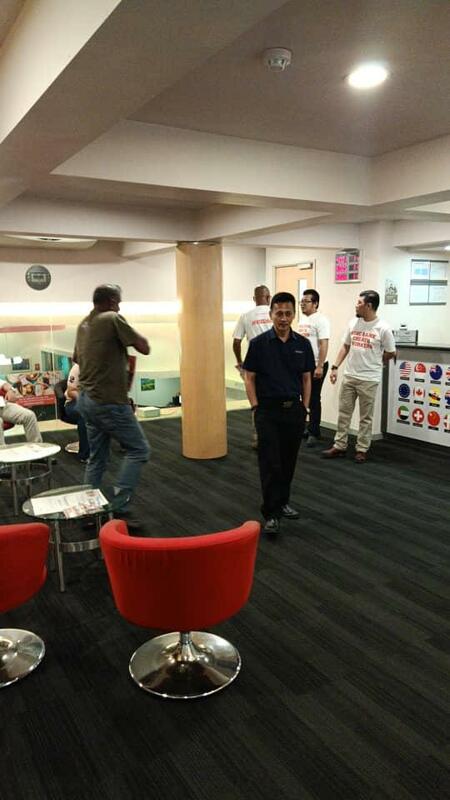 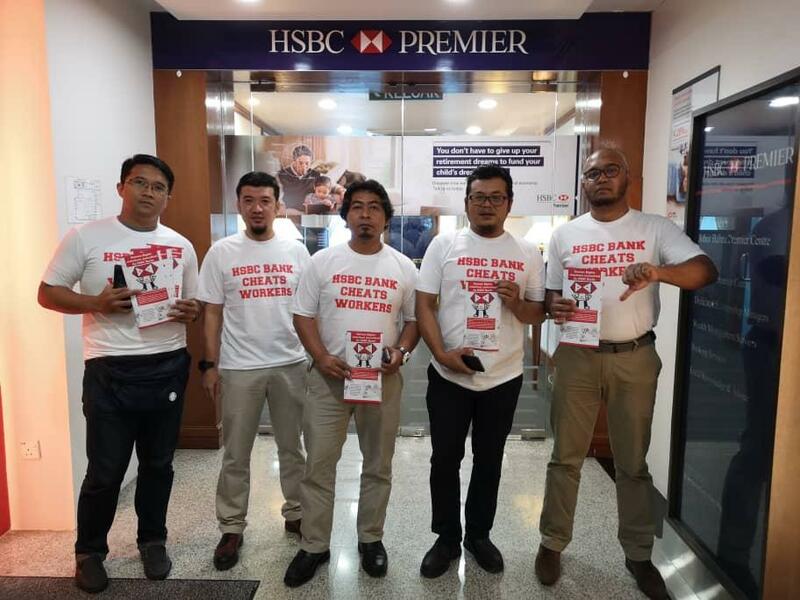 HSBC Bukit Timbalan Branch Manager, Mr. Alvin Anton E. Amaladas made a feeble attempt to disrupt the industrial action by NUBE. 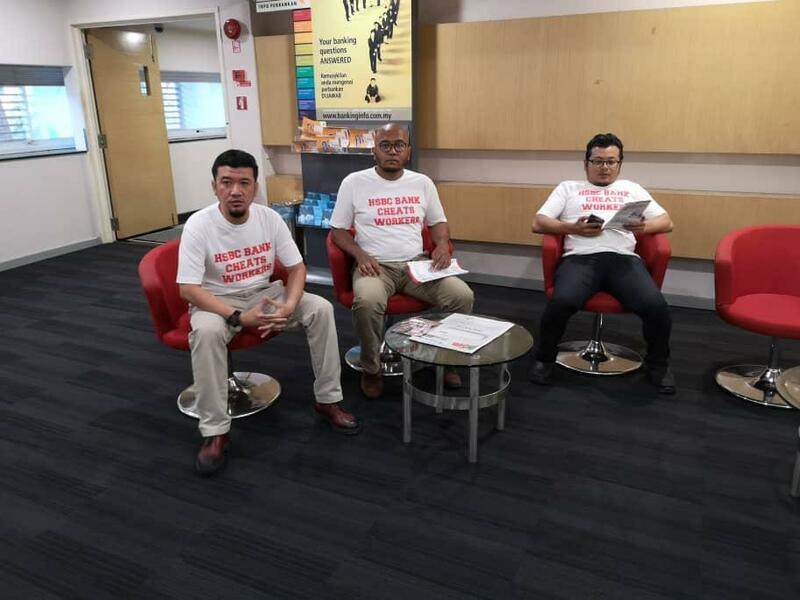 He mislead the police to come in and intimidate NUBE Officials. 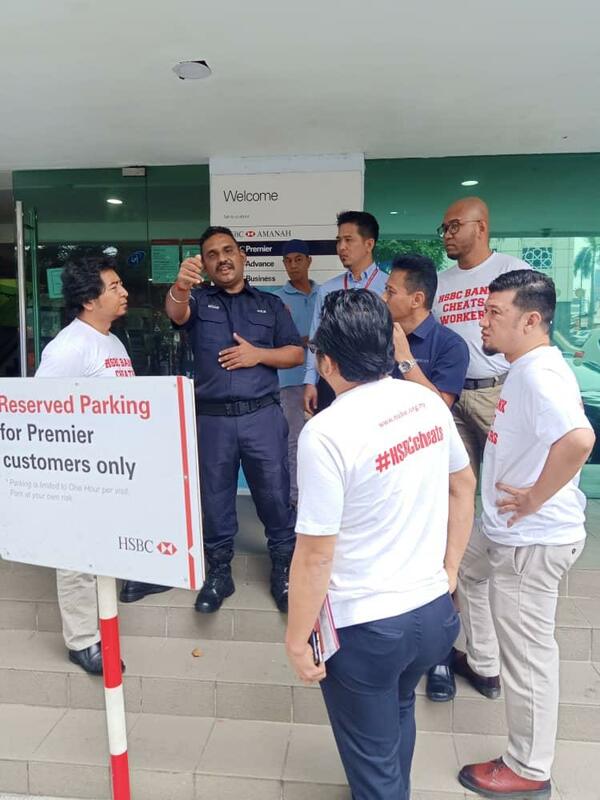 The police officers realising that it was a trade dispute between NUBE and HSBC Bank and that the situation was well handled by NUBE Officials did not get involved. 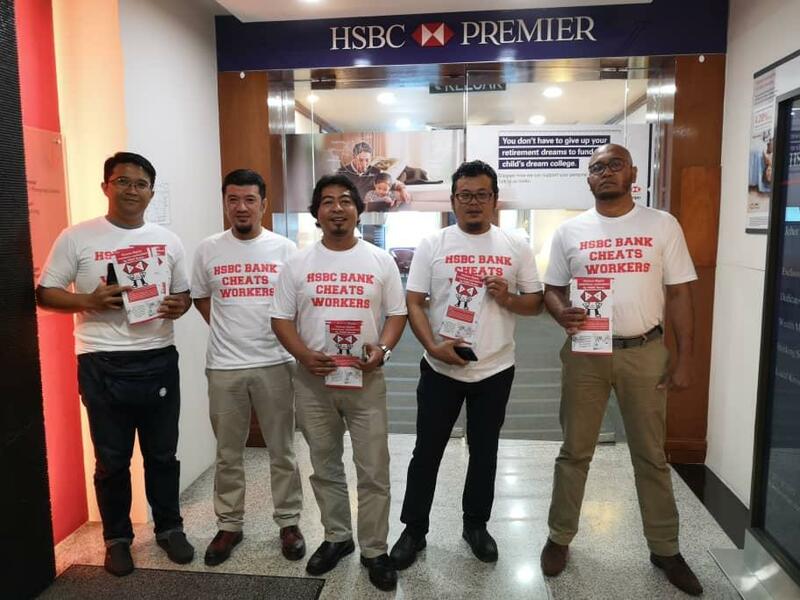 This is another attempt by HSBC Bank’s abuse of corporate authority, making false allegations, misleading the police, its customers and public. 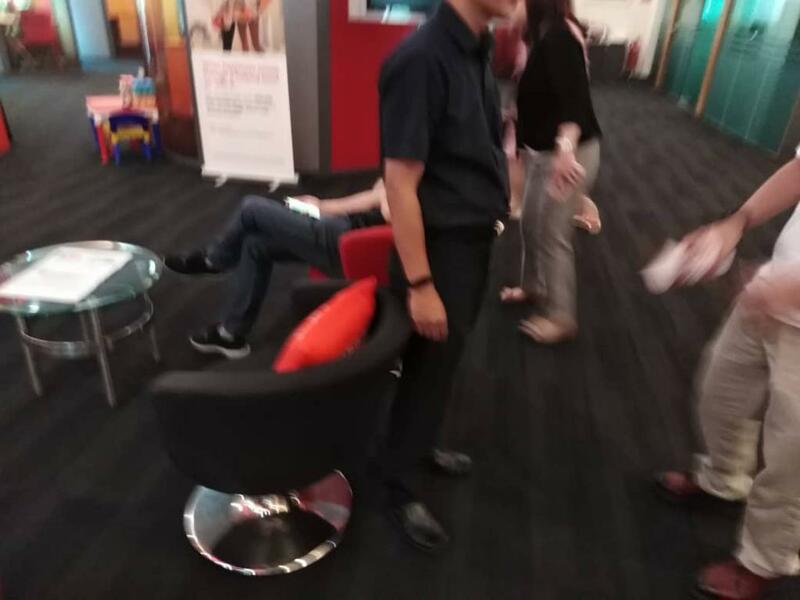 This is the unscrupulous scheming work of Stuart Milne’s lapdogs.